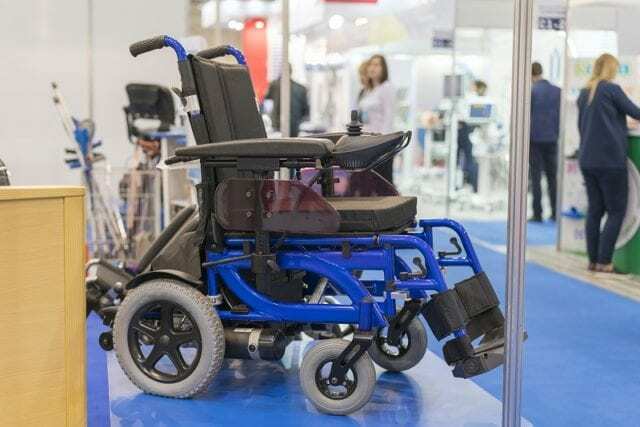 “Accessible travel” is possible because of the latest technology for people with disabilities or illnesses that restrict them to a wheelchair. Wheelchairs no longer restrict people from experiencing life outside their home and seeing far away places. The evolution is not only because of people’s want to adventure, but the travel industry is also meeting new demands. Gadgets and gizmos make traveling in a wheelchair easier and enjoyable without restrictions. An international plug adapter gives the user the ability to plug chargers into any shaped outlet. Converters are no longer a requirement, and they are expensive. Adapters are a cheaper option, and the prongs fit in over a hundred countries. Variable voltage power chair and power scooters utilize an adapter with no sparks or fire hazards. It also doubles for devices, like cellphones, tablets, and laptops. Though, it is not safe to use with grooming tools such as hair dryers or electric razors. Research to ensure the prongs will fit if traveling internationally. Questions about chargers, converters, and adapters are always on the top of the list when someone in a wheelchair is traveling, especially abroad. Keep in mind that all powered mobility aids are different. The outlet and voltage range depending on where someone is going. Europe, for example, provides a higher voltage. An international plug adapter is perfect for traveling and maintaining mobility aids. Voltage converters are bulky and expensive, so asking a medical professional or an equipment dealer is the best plan if needing a converter that works without the hassle of the converter. Cellphone lenses that mimic expensive camera are available and recommended for people traveling in a mobile aid. The array of lenses clips onto the phone where the phone’s camera eye is at. The space that is given by a wide-angled cellphone camera lens allows for landscape photos and wide shots that otherwise would not be possible without them. The phone’s weight does increase, but cases are also available to keep the cellphone camera lenses in without causing damage. Most importantly, power based mobile aids require charged batteries. A battery dying while exploring a landmark is a nightmare. To double the injury, if a cellphone battery drain, pictures, and video of the adventure are impossible to get. Backup batteries add weight to a journey but are useful. However, power banks often have two USB outlets. Charging phone and mobility aid is an easy task when using a quality power bank. Also, ensure no airline restrictions apply to the device, so no one is caught off guard at the airport. Within the United States, The Americans with Disabilities Act protects those in wheelchairs and promises to treat them equal to people who do not have disabilities. International traveling is far different. No guarantees apply to treatment or allowing scooters or other mobility aids. Always research beforehand, so there are no surprises. Enjoy the adventure without worries!